Galaxy S6 camera stacks up against iPhone 6 and iPhone 6 Plus, Here's How? The Galaxy S6 (and Galaxy S6 edge) have been receiving ravishing reviews from various publications. The latest Galaxies are easily the best smartphones Samsung has ever manufactured. 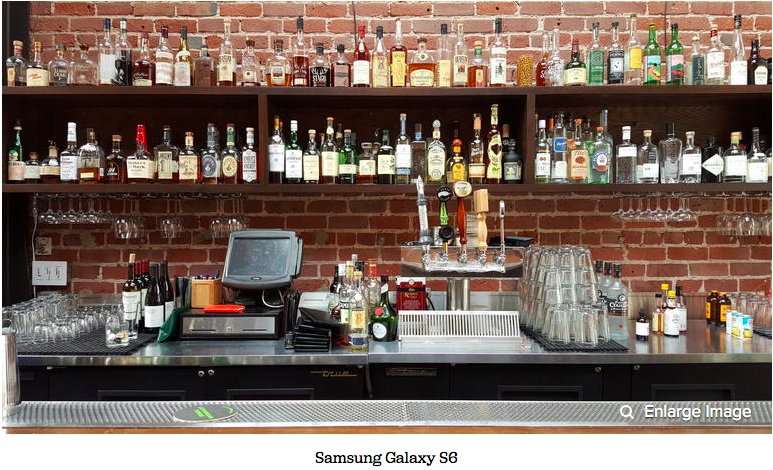 Samsung has also been highlighting how good the 16MP f/1.9 rear camera on the Galaxy S6 is. 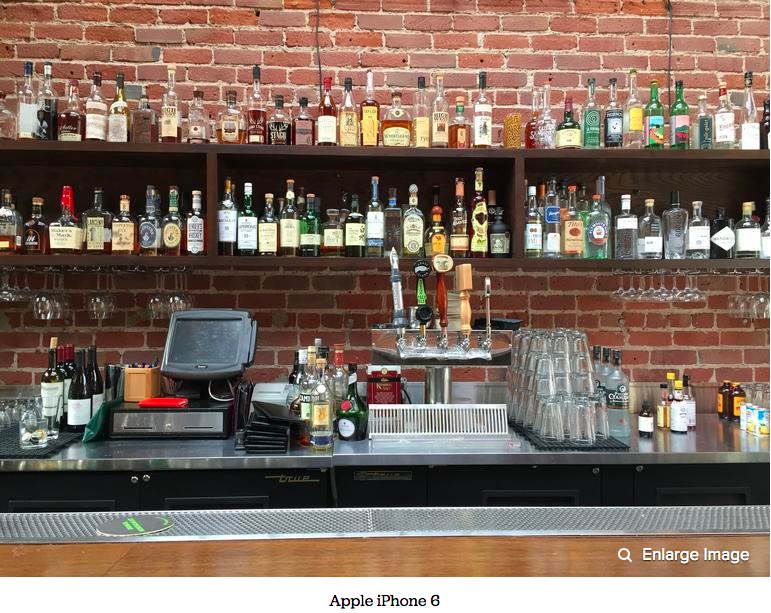 But how exactly does it stack up against the excellent 8MP shooter found on the iPhone 6 and iPhone 6 Plus? We take a look at some of the comparison done by other publications to find out. According to The Verge, the Galaxy S6 camera is “fast, reliable and takes great photos,” and is “easily the best camera on any Android phone ever.” The shooter is also able to hold its own against the iPhone 6 Plus and is able to consistently shoot decent pictures irrespective of the situation. On the whole, the S6 holds its own against the iPhone, and we wouldn’t hesitate for a second to use it as our primary smartphone camera. The comparison images from the website shows that the white balance of both handsets differ significantly, they are both able to produce usable photos in various conditions. In their comparison, Business Insider found that the Galaxy S6 is able to take brighter photos than the iPhone 6 Plus in low-light, but the latter is still able to produce better images as they are sharper. They even pitted HTC’s latest flagship — the One M9 — against the iPhone 6 and Galaxy S6, but the 20MP module on the handset fell flat on its face due to its tendency to over-expose photos. The overall winner? The iPhone 6. It took the best photos overall, especially indoors and in low light. The Galaxy S6 was also quite good, coming in very close to the iPhone in most settings. The HTC did spectacularly well in a couple of outdoor settings, but overall seemed to have problems with exposure. 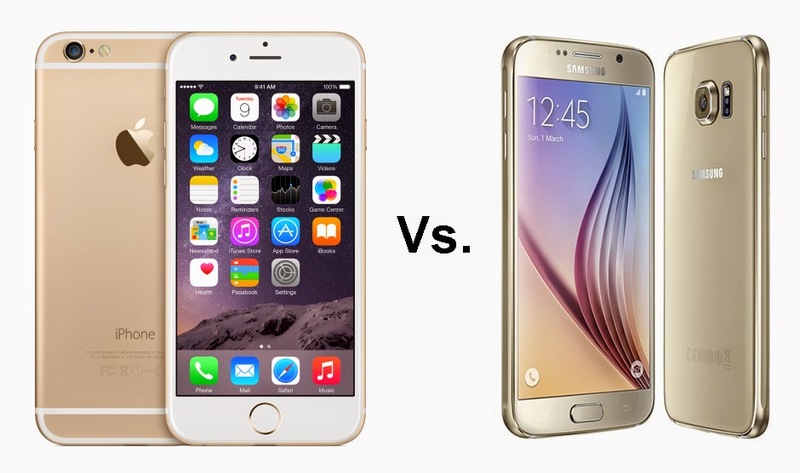 Unlike Business Insider and The Verge, CNET pitted the iPhone 6 against the Galaxy S6 and the HTC One M9. The publication echoed the same thoughts as Business Insider: While the Galaxy S6 took brighter shots in low-light, the iPhone 6 managed to capture more details and produce sharper images. As for the iPhone, its biggest strength is with low-light environments. Though it won’t have the brightest exposure in the end per se, its photos are sharper and look more natural. 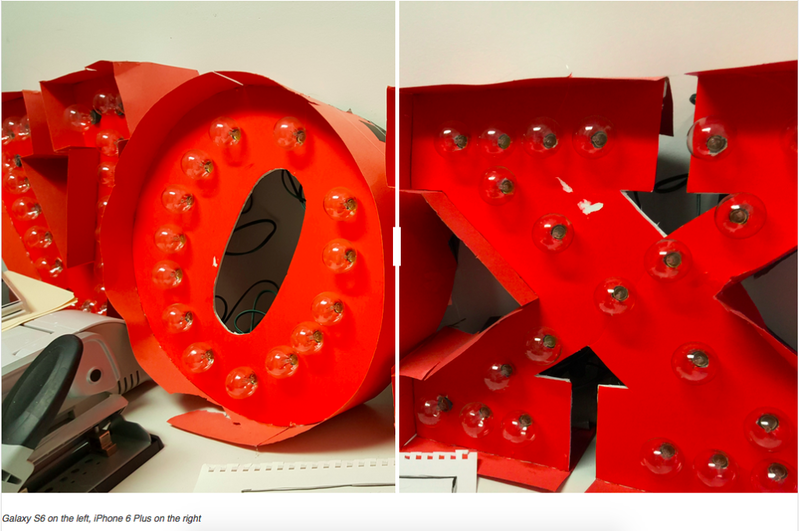 It also reduces the amount of lens flare beaming from different light sources. In addition, its white balance captures the purest and cleanest white hues. Overall though, the publication found that the cameras on the iPhone 6 and Galaxy S6 are equally good, while that on the HTC One M9 is a disappointment. All in all, the M9 proved a disappointment, while the Galaxy S6 and the iPhone 6 were pretty neck-and-neck. Personally, I’d give the Galaxy S6 the slight edge, since I’m partial to its saturated tones that come off bright without looking too unrealistic (a characteristic that plagued Galaxy cameras before). It looks like Samsung has finally managed to catch up to Apple in terms of camera performance on its devices. Do keep in mind though that the iPhone 6 and iPhone 6 Plus are six-months old at this point, and the next iPhone is only six-months away at this point, while the Galaxy S6 is going to be Samsung’s flagship handset for the next one year.